30 Nov 2018 – Buddhists or not, we approach Lord Buddha for seeking peace, joy and harmony in this violent world. A Buddhist pagoda built with Japanese aid in Darjeeling in the north eastern part of India does not disappoint; it fortifies our faith and fulfils our hopes. Darjeeling is a hilly town at heights ranging from eight to ten thousand feet above sea level and attracts tourists from many parts of the world especially from the neighbouring small countries of Nepal and Bhutan. 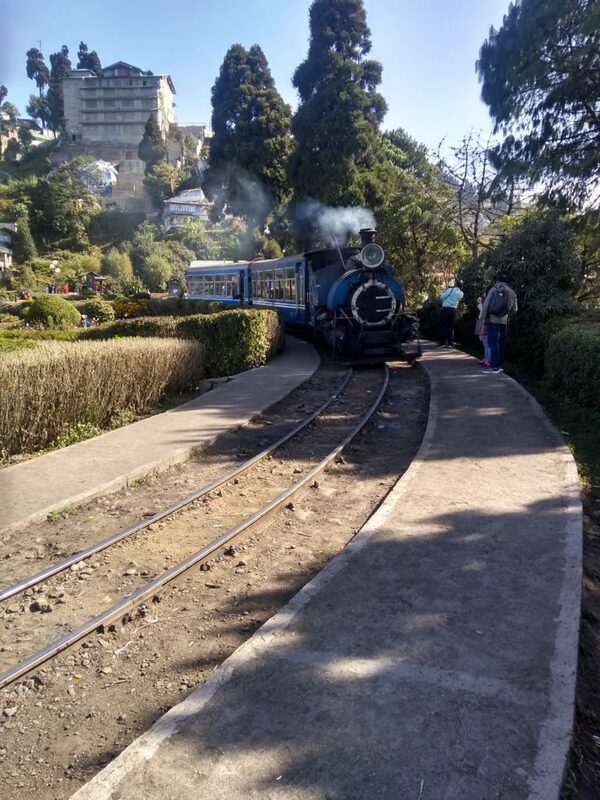 Of course, Indians from the nearby states of West Bengal, Sikkim, Nagaland, Assam, Bihar as well as from Delhi, and most parts of India are as excited to visit Darjeeling as any other ardent tourist. The pagoda has a white rounded top that is visible from quite a distance. 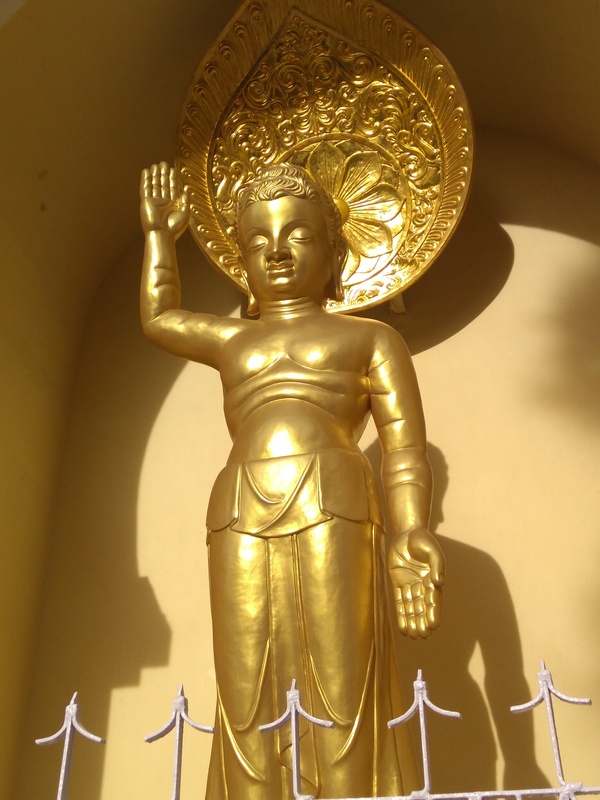 When one nears it one can see the image of Buddha in golden hues. Taking a Parikrama (circling around it), one gets to see three other images of Lord Buddha — seated blissfully and blessing the onlookers, meditating, and reclining peacefully, again in golden colours. The pagoda helps to build peaceful relationships between India and the neighbouring countries — Nepal and Bhutan. Nepal used to be known as the only Hindu country in the world — now it is more secular. Bhutan of course is a Buddhist country with large number of Buddhist temples and monks chanting their mantras. One of the principal features of Buddhism is non violence and this Japanese pagoda symbolises Peace, harmony, non violence and happiness. Darjeeling and also some neighbouring smaller towns were developed by the British during late nineteenth and early twentieth centuries. Unlike Calcutta (Kolkata) which was then the capital of the British colonial India, Darjeeling was known for its pleasant climate during the summer months with some snowfall during winter. As in other cities such as Shimla (in Himachal Pradesh), developed by the British, a busy part of the city had a prominent area called Mall Road. When the British made New Delhi as India’s capital in 1911, a prominent road that was built, again had the name Mall Road. Apart from a curving road to reach this hill station from a town known as Siliguri (West Bengal), there is an incredible toy train that one can observe slowly chugging along the curved roadside. 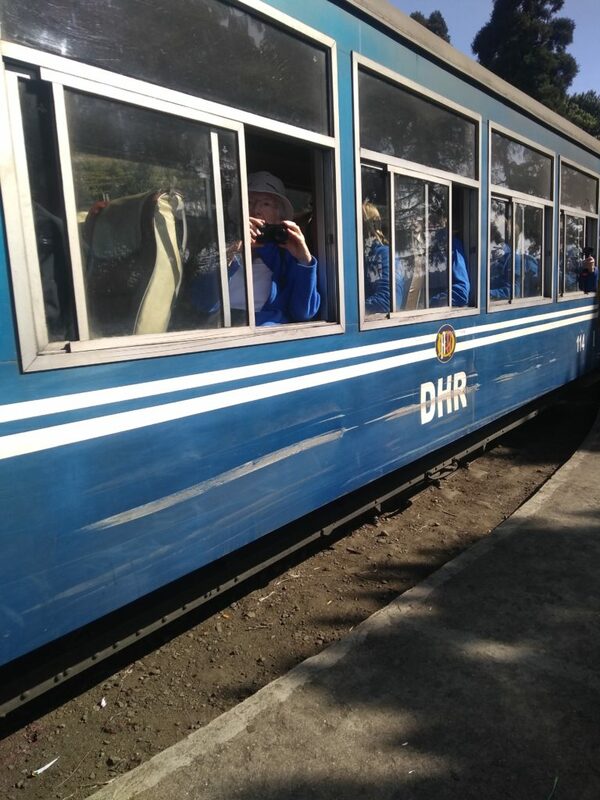 This toy train having two or three compartments, moves gracefully on its railway track (again built by the British rulers) providing the few passengers a gentle, peaceful journey to Darjeeling. Another attraction of this hilly town is a magnificent view of the highest mountain of India, known as Kanchenjunga. This mountain partly covered in snow, provides a natural boundary between India and Nepal. However, thousands of Nepali citizens have moved over to this hill station as well as to the tiny state of Sikkim. Nepali language is widely spoken and understood in these regions. Japan waged war in the eastern part of the world during WW II, along with Germany which captured many countries of Europe and committed the brutal Holocaust. Japan has subsequently apologised for the violence committed by it. Perhaps the Peace Pagoda built by the Japanese in the distant city of Darjeeling in India is a demonstration of its peaceful, harmonious nature today. There is a pillar next to the pagoda with some Japanese words beckoning people to share peace and tranquility of the Pagoda. Anticopyright: Editorials and articles originated on TMS may be freely reprinted, disseminated, translated and used as background material, provided an acknowledgement and link to the source, TMS: Peace Pagoda: Seeking Bliss and Joy, is included. Thank you.